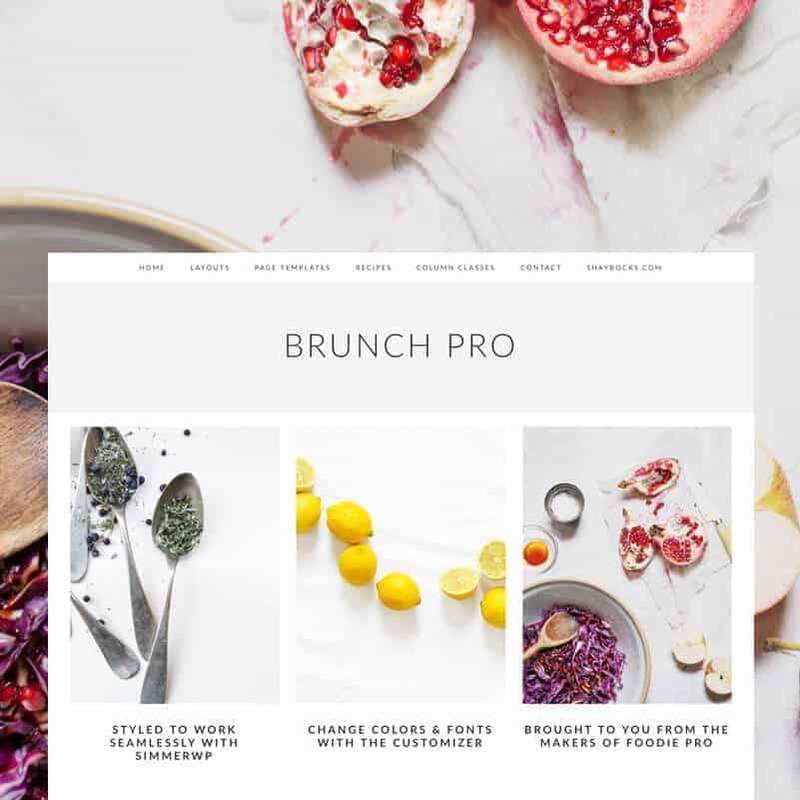 Brunch Pro - Food Blogger Wordpress Theme by Feast Design Co.
Brunch Pro is the little sister of the #1 selling Genesis child theme, Foodie Pro, and boasts excellent features like font & color options in the Customizer, minimalist style, flexible widgets, and an improved recipe index. 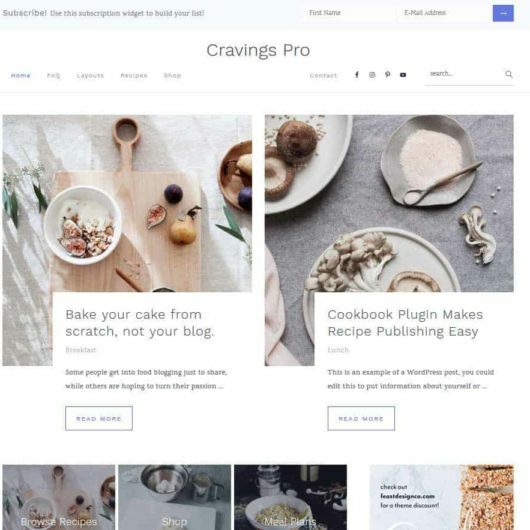 Import demo content & widgets! 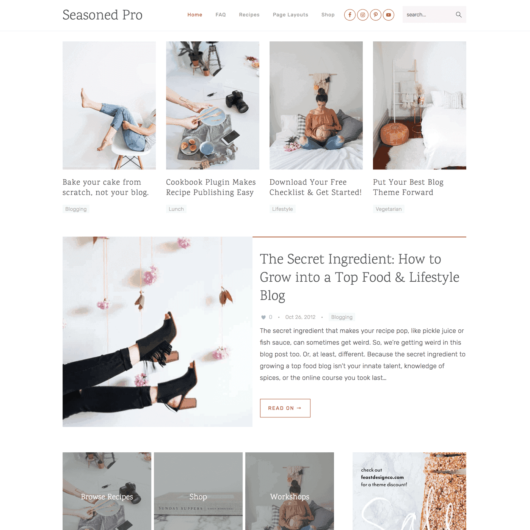 This simple child theme requires the Genesis Framework, which must be purchased separately. Need managed wordpress hosting? We recommend WPEngine, Cloudways, and GetFlywheel! We recommend uploading a logo no more than 300px wide and 100px tall. 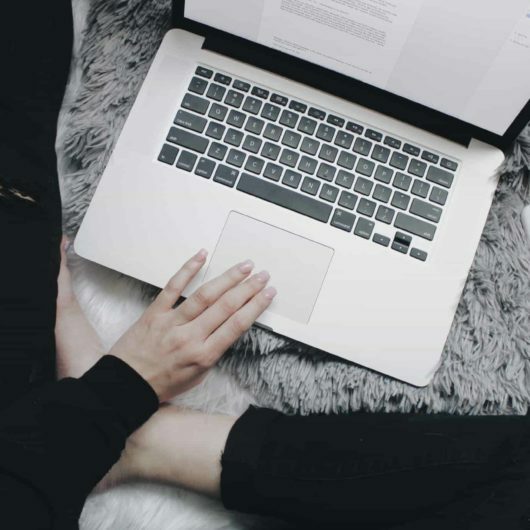 As opposed to the focus on “retina” in the past, modern best-practices dictate that logos should take up minimal above-the-fold screen space, and be as small as possible so that they speed up page load times. If you are using excerpts on the archive pages, blog page, or in the Featured Posts widget, a “Read More” button will automatically appear for you. This is to maintain continuity with the rest of the minimalist theme style. You can also use the MORE tag to insert the button when displaying full content.